Are you familiar with Yosemite National Park? It’s a good one, one of the best in California, which is really saying a lot. It was recently featured in Ken Burn’s series The National Parks, because it is one of the first wilderness parks in the United States. Within its nearly 1,200 square miles are thunderous waterfalls, dramatic granite faced peaks, verdant meadows, ancient towering sequoias, and magnificent vistas that are spellbinding and awesome. The Ahwhnee hotel was completed in 1927, and was designated a National Historical Landmark in 1987. Its location was chosen because of its stunning views of Yosemite’s most famous icons – Half Dome, Yosemite Falls and Glacier Point. The monumental hotel was constructed to be fire resistant, the facade that resembles wood is actually concrete, poured into rough-hewn wooden forms and stained to look like redwood. It’s luxury surrounded by rustic nature, the crown jewel of the national park system. During our trip the weather was very unsettled. It poured rain, it snowed, the views were obscured by fog and mist, then we had an exciting thunderstorm with hail the size of small marbles, and finally the skies cleared up and we drank in gorgeous sunny blue skies for the finale. I took this picture up near Glacier Point which had quite a lot of snow up at elevation levels above 7200 ft. 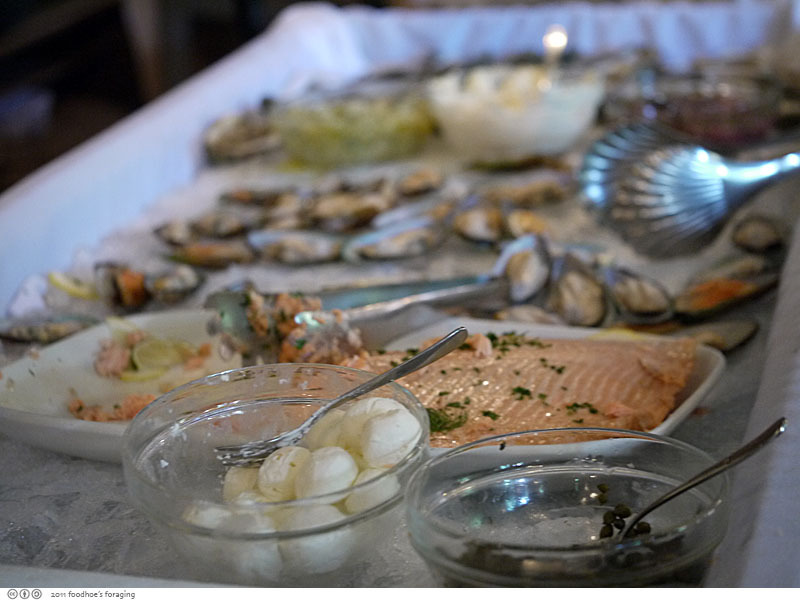 Since Sunday was supposed to be a big storm day, we decided to hang out at the Ahwahnee where we enjoyed their Grand Brunch ($39.99 per person). The Dining Room features 34-foot high beamed ceilings with monumental granite pillars, and ceiling-to-floor windows framed with stained glass. 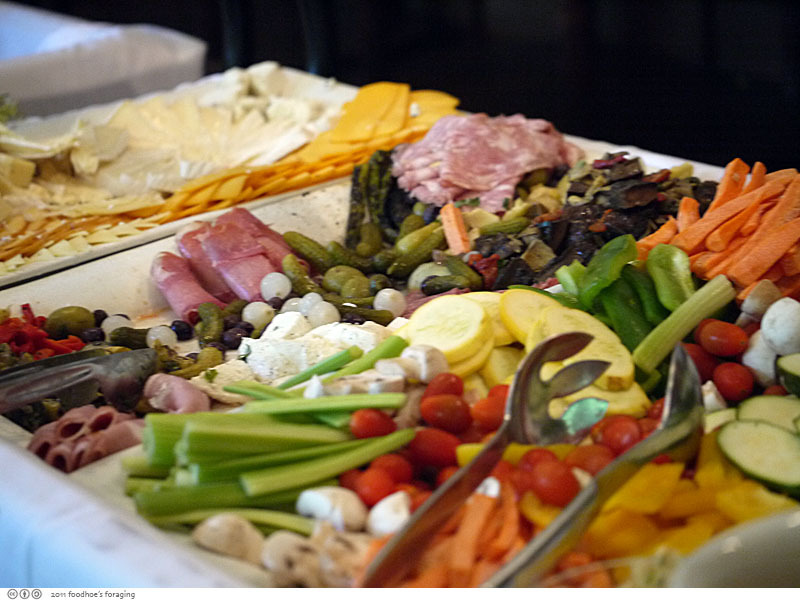 Grand Brunch is served Sundays from 7am to 3pm. While the $40 price tag for brunch seems high, it is actually quite reasonable for the quality and variety of foods offered, a similar spread at the Carnelian Room in SF is about 50% higher and although the views of the city are magnificent, they don’t quite compare to the area surrounding the Ahwahnee Hotel! There were attendants at the ready to carve up Slow Smoked Bone-In Country Ham or Prime Rib Served with Natural Jus & Horseradish. Another station offered Eggs Your Way & Omelets. The selection of fruit this time of year was a bit pedestrian but everything was sweet and juicy. My first plate was piled high and included a miniature bagel and croissant that was incredibly flaky and delicious. My second plate was much the same but included some items from the steam plates, my favorite was Cajun Catfish on Bacon Cheese Spinach Grits. 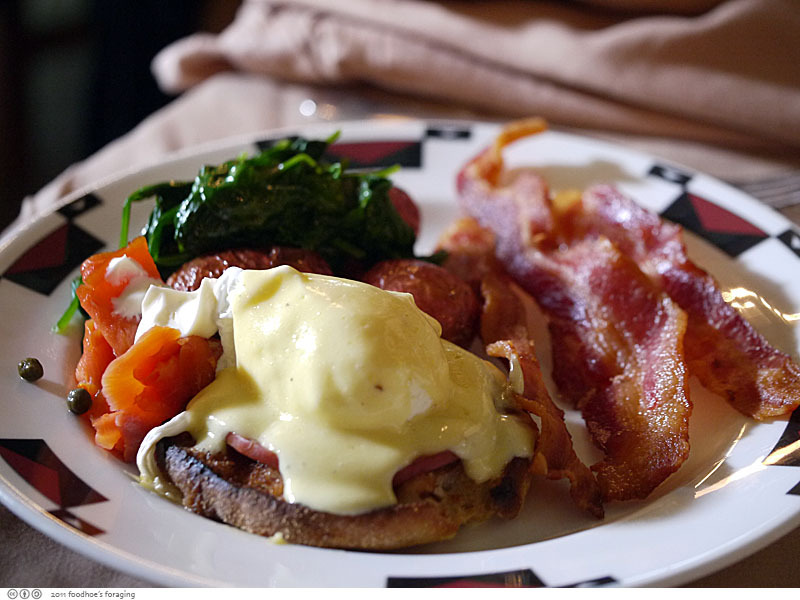 This is Mank’s plate with Ahwahnee Eggs Benedict, which were so good they went back for seconds, and a stack of thick slices of applewood smoked bacon. The steamed spinach and roasted red potatoes were perfectly cooked and very good on the side. 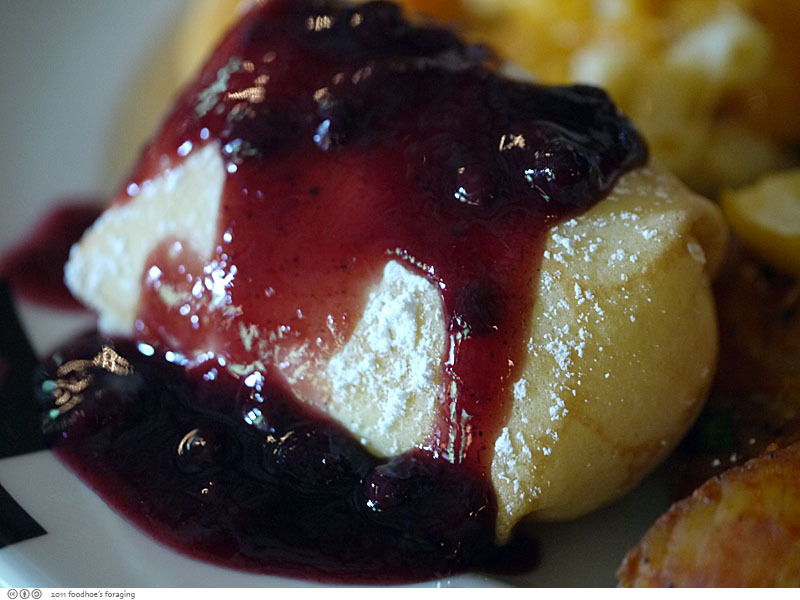 I couldn’t resist the Cheese Blintz which was perfumed with orange zest and topped with a spiced berry compote. Award winning Executive Pastry chef Paul Padua presents an amazing assortment of pastries, tarts, madeleines, meringues, cookies, brownies, even tiny panna cotta and creme brulee, to tempt your already overburdened belly. 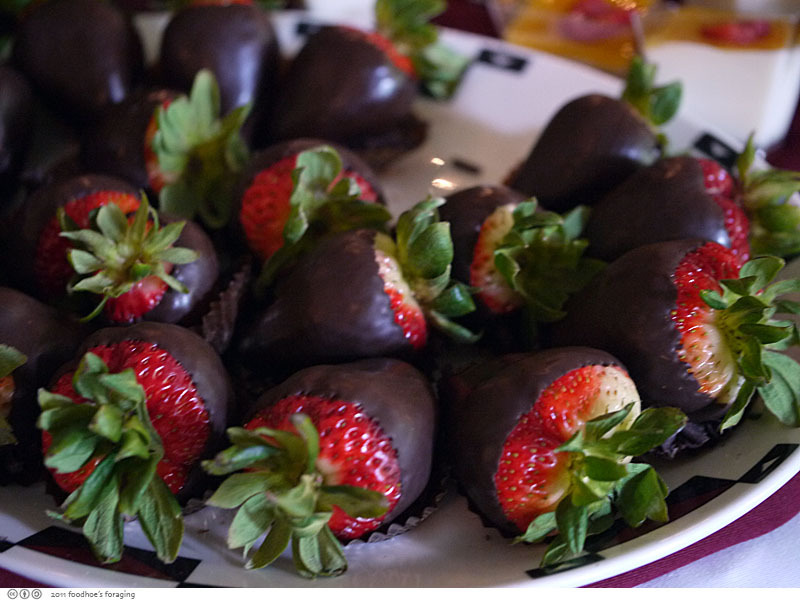 The platter of chocolate dipped strawberries were irresistible, especially with strawberries being at their sweetest right now. 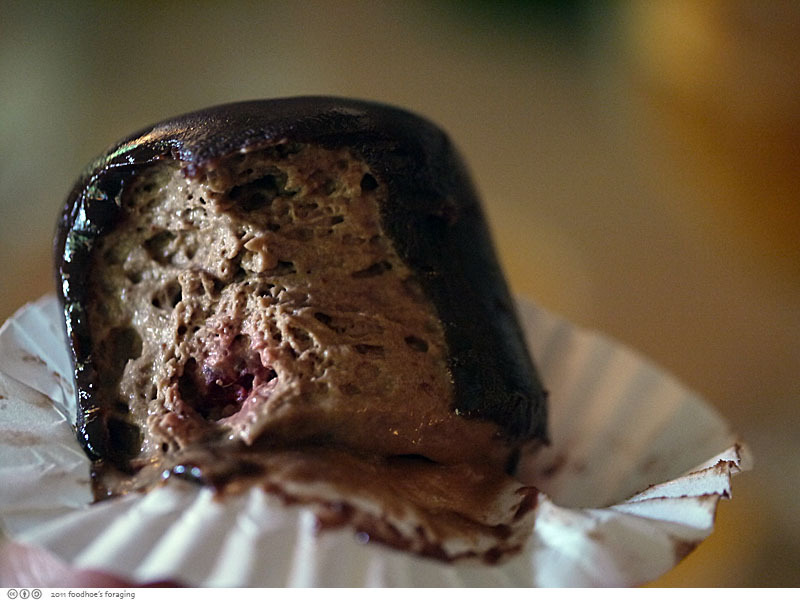 My favorite was the chocolate bonbon filled with rich creamy chocolate mousse and raspberries. It was soft and gooey and out of this world delicious. Afterwards, there are countless trails for you to work off some of the gluttony, ranging from steep switchbacks along waterfalls to flat trails suitable for wheelchair access. All offer amazing and gorgeous views. 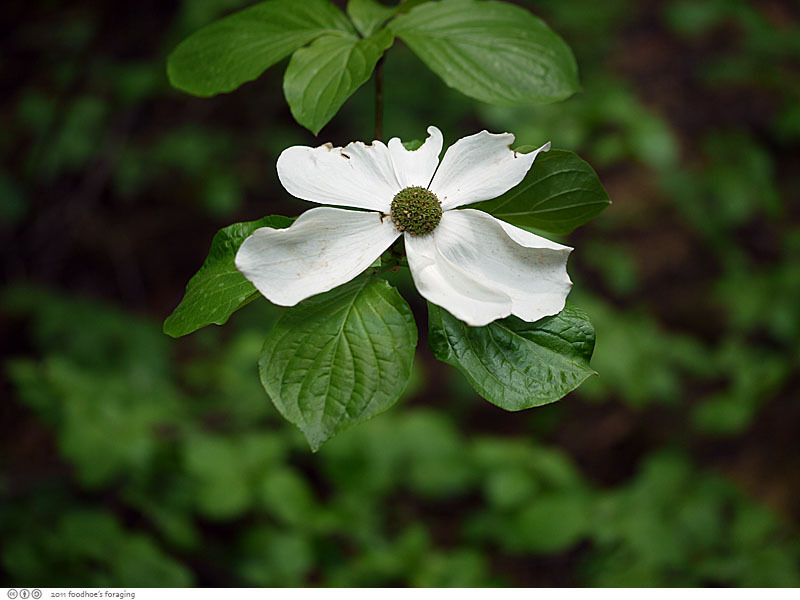 This is a dogwood blossom, which was blooming throughout the valley, I took this shot in the garden of the hotel. A place I’d love to visit. What a lovely brunch. 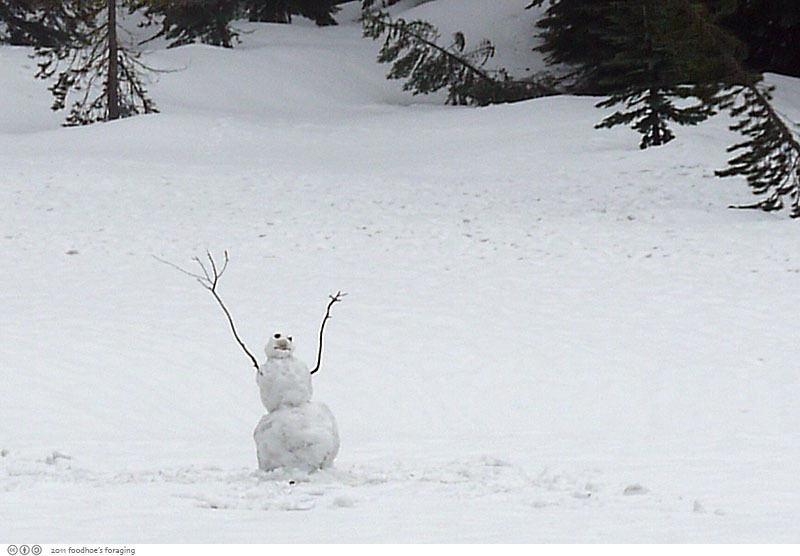 Wow, you went through all four seasons on one trip! 😉 I bet the waterfalls are amazing because of the rain this season. And I always love seeing snow in the summer! 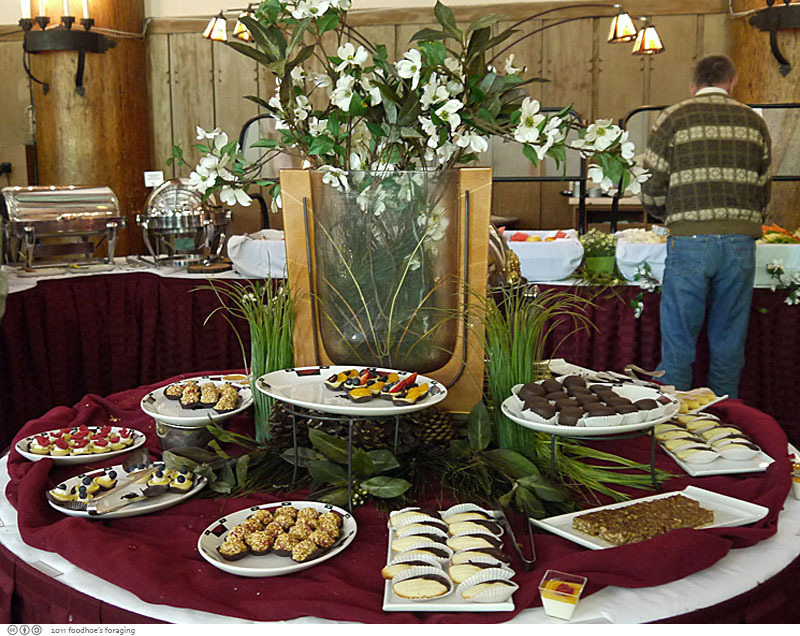 The spread sounds pretty reasonable for a hotel buffet, and I heard the Ahwahnee is a beautiful setting. With the weather did you camp in tents or stayed in something more durable? Sounds like a real adventure. You left out two important guests; Ms.Goofy and Chilebrown. We stayed there and loved it. I did a post on it. chilebrown, I’ll be damned, so I did! One day I can dream, but the prices just keep rising… I’ll be by to read about it in any case.